Like its major counterpart, the minor pentatonic scale is a highly popular scale due to its versatility and playability. A staple in blues music, this scale brings moodiness and tension that creates that familiar blues feel, particular when played over major/dominant chords. 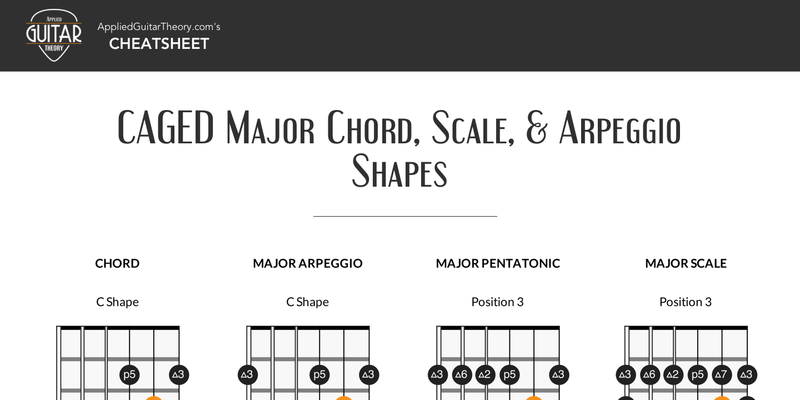 If you haven’t already, check out the lesson on the major pentatonic scale. We’ll review some of they key points of that lesson here, but there are more details as to why the pentatonic scale is so player friendly in that lesson. 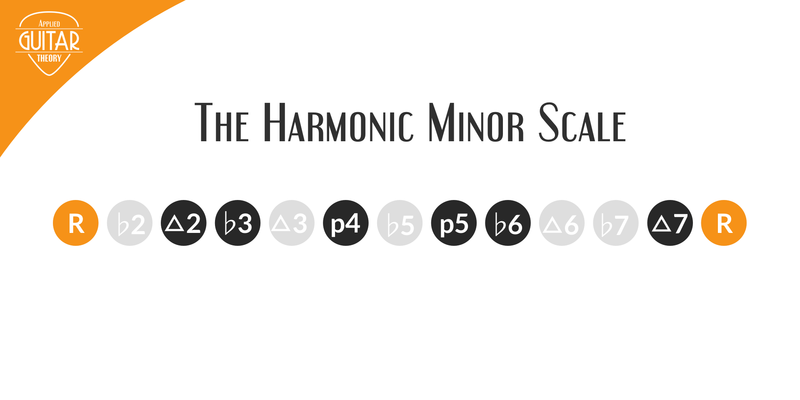 Missing from the scale are the 2nd and 6th intervals, which in the minor scale are more dissonant tones that need resolution. Because these notes are absent, it makes it easier to use the minor pentatonic for soloing. The drawback is that while almost any note you play in the minor pentatonic may not sound bad, it may not be as colorful as it could be as well. Like the major pentatonic, the minor pentatonic scale contains five shapes that are connected to the pattern above and below it on the fretboard. 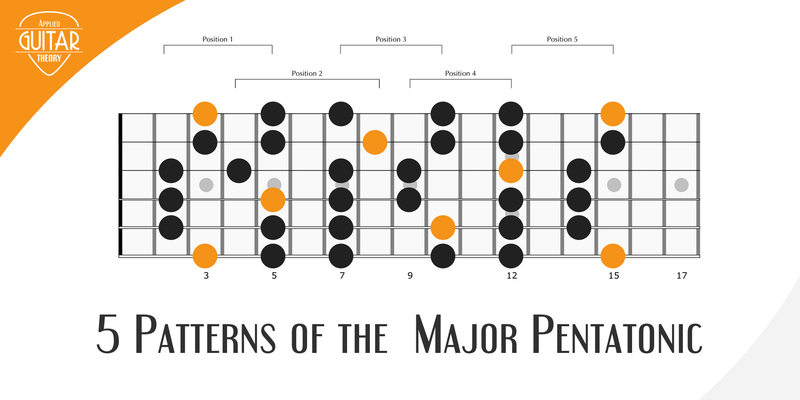 If you know the patterns of the major pentatonic, you know the patterns of the minor pentatonic as well. The only difference between the two is the root note. 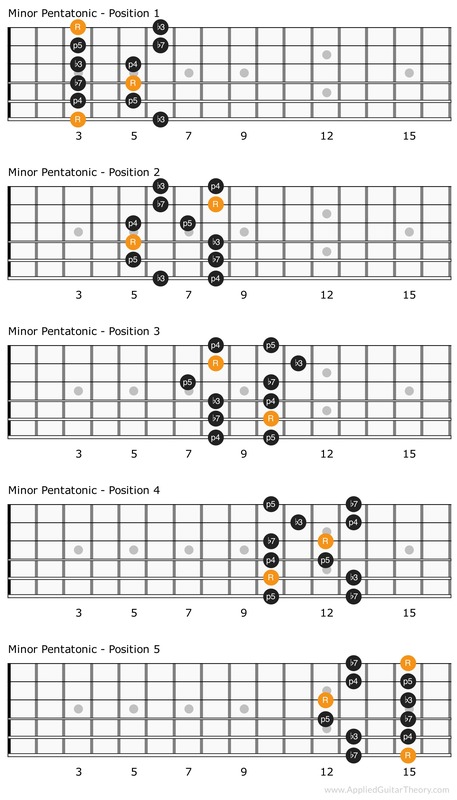 Below are the five patterns of the minor pentatonic scale. 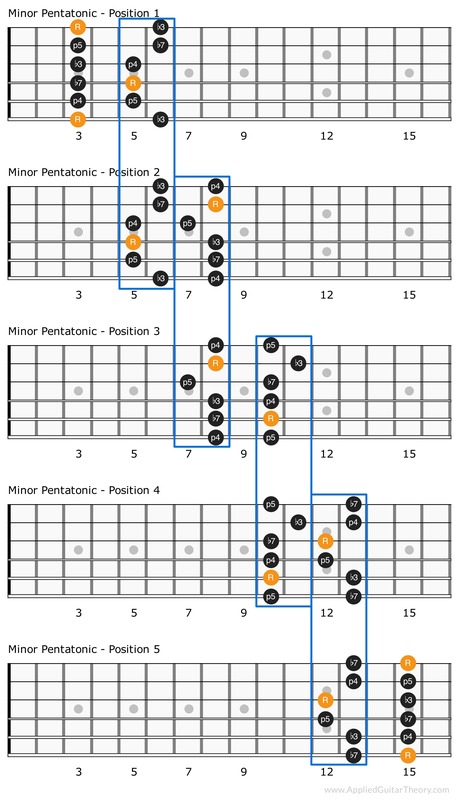 The diagram below shows you how each of the minor pentatonic scale shapes are connected. Just like the major pentatonic, the minor pentatonic scale is a versatile and widely used scale. It can be used over minor chord progressions and major chord progressions, which is common in blues music. Get notified of new lessons! Enter your email below to receive lesson updates. Copyright © 2019 - appliedguitartheory.com - All rights reserved.